Bart Cools, a key dance music executive with EMI for more than 20 years, has joined Warner Music Group. The Dutchman will lead WMG’s dance music strategy in the role as executive VP, global A&R and marketing, dance music, for Warner Recorded Music. Cools is tasked with spearheading the company’s worldwide dance music strategy, and leveraging the major’s global A&R and marketing teams. He’ll identify leading dance music talent for the group and develop long-term artist careers across all revenue streams, including recorded music, live performances, synchronization, merchandise, sponsorship and brand partnerships. 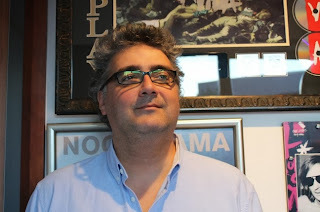 Until recently, Cools was EMI Music's executive VP for marketing in Europe and the rest of the World. At EMI, he oversaw the music company’s global initiative, the EMI Dance Network, an A&R and marketing network for dance music. Its roster included frontline signings such as David Guetta, Deadmau5 and Swedish House Mafia. Cools will continue to work closely with Guetta, who recently joined the Warner Music roster following WMG’s acquisition of Parlophone Label Group in July 2013. WMG has ramped up its activities in the dance space in recent times. The group made a big push in 2010 with the re-launch of Big Beat Records, founded back in 1988 by Kallman. Big Beat now boasts a roster of artists that includes Skrillex, Chromeo, Doctor P, Flux Pavilion, Icona Pop, Knife Party, Martin Solveig, Metronomy and Sebastian. Other notable WMG dance-related activity includes its re-launch of FFRR Records in 2011, the launch of dance imprint One More Tune in 2010 and the acquisition of Australia’s Peppermint Blue Entertainment in 2009.